Rockwall police Sgt. Jeff Welch on his last day on duty. Rockwall had no stoplights and less than 10 police officers when Sgt. Jeff Welch was hired. His final night on patrol was Wednesday. He is retiring after more than 35 years of service. ROCKWALL – Sometimes the briefings that start a shift at a local police department can feel a bit routine. After beats were assigned and warnings about wet roads issued, what had been routine for 35 years came to an end – it was Welch’s final night on duty. 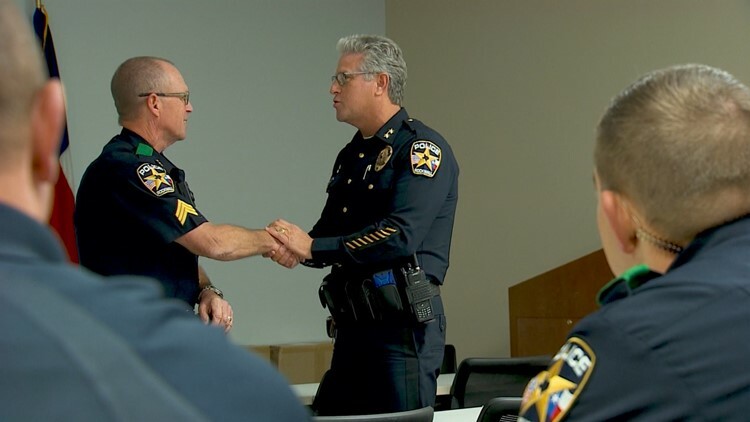 His chief shook his hand and his colleagues gave him a standing ovation. “Being a police officer is basically all I’ve known the last 39 years,” he said. Welch was the tenth police officer hired by the city of Rockwall. 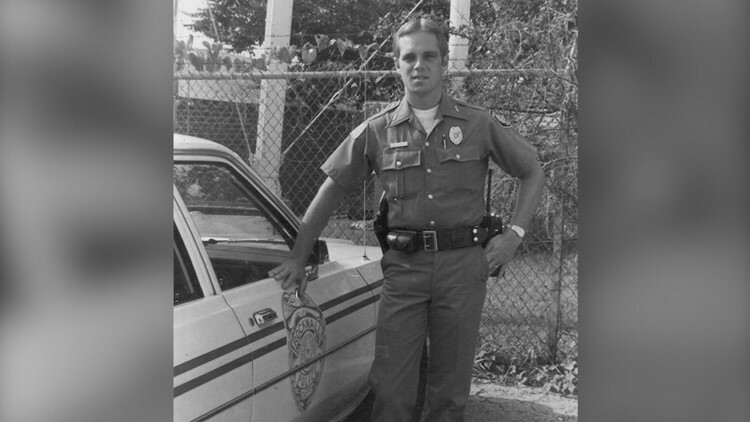 His first day on the job was August 1, 1983. He spent a few years working for the city of Melissa and Collin County before moving to Rockwall. “It was really a real small town back in the day,” he said. That black-and-white photo that was front-page news is something he now treasures, as the department now has more than 80 officers. At the time of his hiring, Rockwall had no stoplights. “Back in the day, this used to be all cow pasture,” he said, driving past sprawling new subdivisions and greenways. 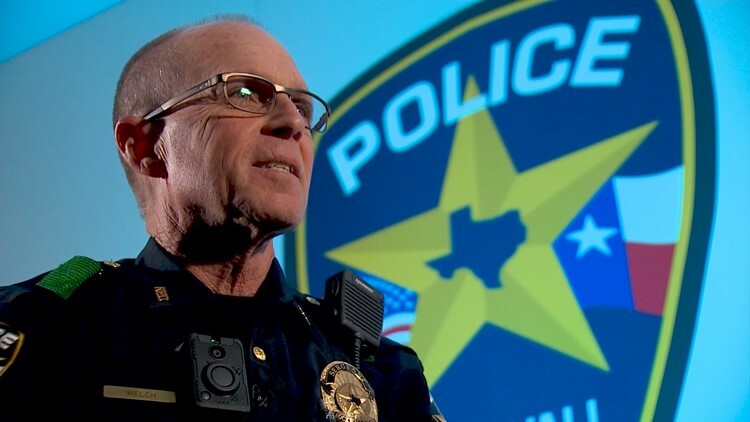 Welch is the longest-serving police officer in Rockwall history. He served under every chief the city has ever had. As he looks back, he is proud of every day he served. “If I had it to do over again, I would,” he said.